Thanks to support from the Big Lottery Fund since 2009, Mind’s Ecominds scheme funded 130 environmental projects in England that help people living with mental health problems get involved in green activities to improve their confidence, self-esteem, physical and mental health. Projects range from horticultural and agricultural schemes, through to walking groups and regeneration projects in local parks. Over 12,000 people used Ecominds to help them look after their mental health. The scheme finished in autumn 2013. 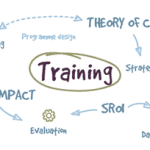 NEF Consulting’s research looked at the economic implications of five Ecominds projects using a case study approach. Helping people with mental health problems to get involved in green activities has a number of impacts and benefits. These range from increased wellbeing experienced by beneficiaries to cashable state savings through avoided costs accruing to the public sector and taxpayers. Direct financial costs of mental illness in the UK have been estimated to be £41.8 billion perannum while the broader indirect economic losses could represent as much as £77 billion per annum. Equally, it has been estimated that 13.8% of the NHS budget is spent on addressing the nation’s mental health. Creating effective schemes that can treat and prevent mental health problems in innovative ways can therefore generate substantial savings and create broader positive financial and economic outcomes along with social and wellbeing ones. 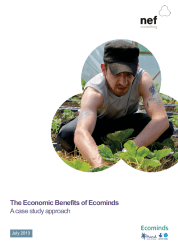 The NEF Consulting research focused on providing an estimation of the economic benefits of Ecominds by analysing five individual case studies that illustrate a change in mental health and by quantifying the potential cashable benefits generated by improving the mental health of these five beneficiaries, using a range of assumptions. Reduced direct costs – reduced use of NHS mental health services, reduced prescription costs. Reduced indirect costs – avoiding paying job seekers allowance, personal independence allowance (previously disabled living allowance). Increased revenue – through tax and national insurance contributions. Gavin Atkins , Community Portfolio Manager, Mind writes in his article for the New Economics Foundation: “In one year alone, the five people generated savings and contributions of £35,413. The highest savings made were when an individual was able to secure employment and using NEF Consulting’s figures we can demonstrate that getting just 254 people from the programme back into full-time employment resulted in £1.46m worth of savings and contributions to the State in just one year. . .